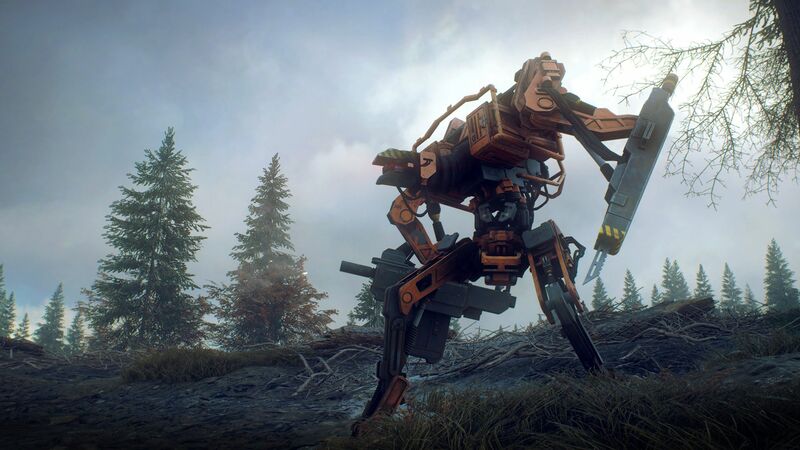 Generation Zero takes players to 1980’s Sweden. After returning from a trip to the islands with friends, players discover their home town is overrun with aggressive robots and not a single living soul can be found. Teaming with up to three friends, players must scavenge supplies and make their way across Sweden to discover the story behind the robot invasion. The story in Generation Zero is told in a hands-off approach. Since there are no NPCs in sight, the story is told through writing, recordings, and artifacts left behind. 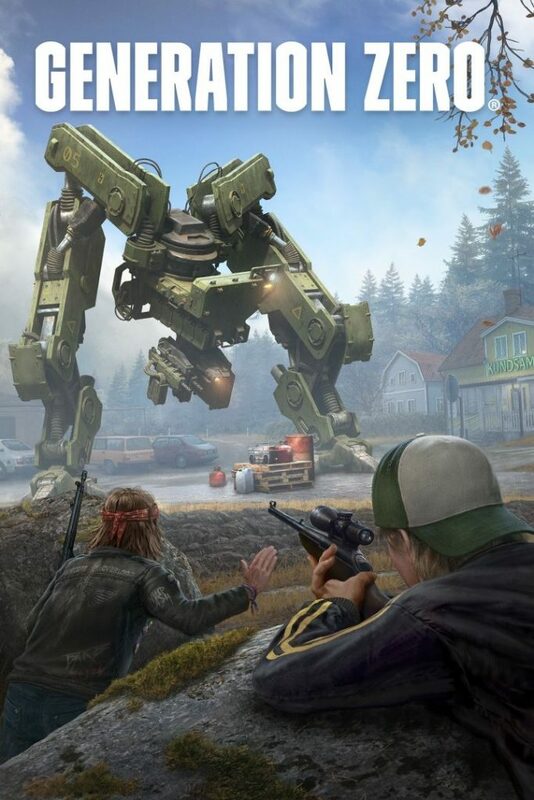 Open world games are not the easiest type of games for a tight, cohesive story due to their open-ended nature, but Generation Zero’s hands-off approach takes the problems to an extreme. The long gaps between story-related information, the low overall number of lore items, and the hands-off figure it out yourself approach create a disjointed presentation that makes it hard for all but the most dedicated players to care about the story. Combat is designed for guerilla warfare tactics, where players ambush robots and retreat as soon as the odds are no longer in their favour. Extended combat is discouraged with high amounts of incoming damage and plenty of reinforcements. All robots have various weak points that can be targeted for extra damage. Additionally, the game offers plenty of tools for setting up traps and ambushes, allowing players to strike hard and fast, then flee. Weapon handling is on the realism side of the spectrum with heavier recoil and emphasis on aimed shots. While combat can be initially terrifying, things get stale rather quickly once players learn enemy weak points and the AI’s habits. Weak points generally stay the same as more advanced versions of the robots appear, usually guarded with an extra layer of armour. The AI is lousy. It has a hard time with obstacles. I found many can easily be kited around buildings or trapped in doorways. While being downed is quite easy in Generation Zero, it is also possible to bring yourself back with adrenaline shots. I found myself rarely having to choose between fighting and fleeing due to the number of shots and medical packs that drop in the game. The survival element of the game is extremely dull. Players go from outpost to outpost destroying robots and pillaging the buildings for loot. All the loot is out in the open in a very small set of standardized containers. Finding items feels more like a chore than a string of good luck or victories. The frustration is worsened by Generation Zero’s awkward inventory management. I suspect the developers were aiming for an old school horror feel, where players need to carry only what they need. In practice, inventory management feels clumsy and unnecessarily bloated. The game will only manage stacks of items in the inventory. If players have med kits in the quick slots but picks up more, the new ones will go straight into the inventory, even if there is room the quick slot stack. Ammunition is in a similar scenario, where loading a stack of ammunition into a firearm will swap the stack instead of refilling the stack in the firearm. Itemization feels a little off. The game doesn’t tell players that certain cosmetic items provide resistance bonuses outright. You will have to go into the menus to find out. More annoyingly, the gas mask fogs the player’s view but doesn’t confer 100% resistance to gas. Instead players will still lose health at a slower pace until they hit a minimum amount of health. Exploring areas with gas often feels like the game is purposely burning med packs without a reasonable reward. Generation Zero is very dull overall. The map feels barren. 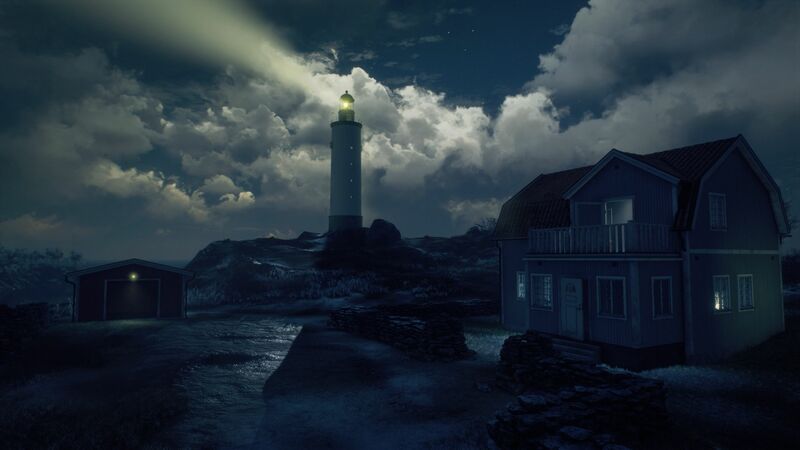 Players will spend a lot of time running through the countryside between small towns and random houses. There are rarely any patrols to break up the monotony as the robots tend to congregate around built up areas. The map is full of reused assets. Many assets are simple variants of each other, leaving players in a perpetual state of déjà vu. The PC port falls short of expectations. The controls use the standard FPS layout; however, there are a lot of missing PC features. Only a single button can be bound to a key bind. There is no option to switch between click or hold to sprint, zoom, or crouch. Mouse sensitivity scaling is not handled properly with variable zoom scopes. It seems like the game adjusts the sensitivity for a scope’s maximum zoom setting, then adjusts the visual zoom effect without adjusting the sensitivity. As a result, using a scope with the lowest zoom setting noticeably drops the mouse sensitivity to the point it feels like aiming through mud. 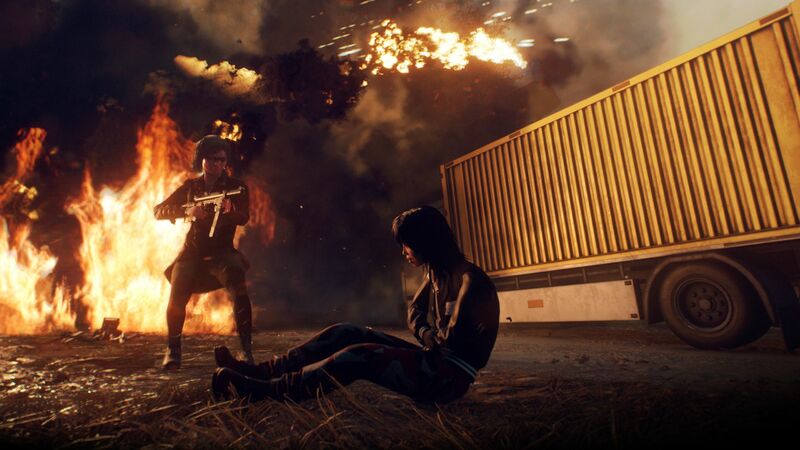 Additionally, there is no built in VoIP options, so players will need to rely on text chat or a third-party VoIP client if they plan on playing in a group. Generation Zero’s environments are gorgeous. The weather effects and the time of day effects are well done. The robots are well designed, looking high tech yet achievable by 1980s standards. The game’s weakness is the human-made areas. The whole 1980s vibe feels forced with random period appropriate posters and the same few cars in different colour palettes. The overall lack of visual assets worsens the repetitive feel of the game. The bunkers will have random portables from the outdoors shoved inside. They look wildly out of place compared to the properly furnished rooms. Houses feel like cookie cutter copies of each other, down to the same interior decoration and maybe getting rid of a wing or two. 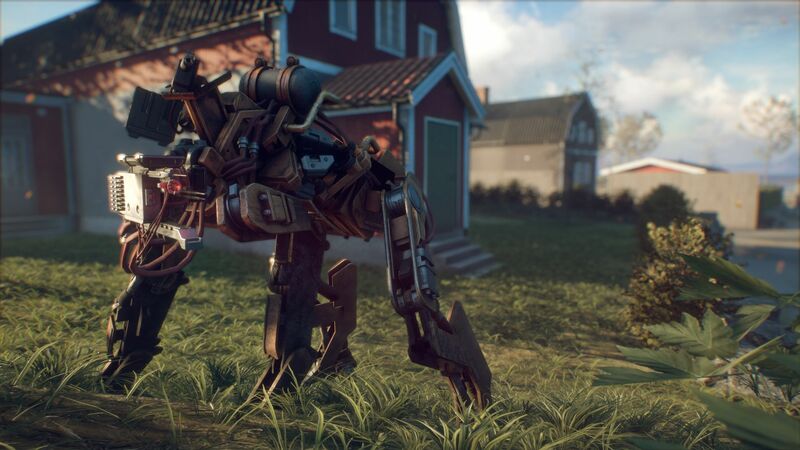 I get Sweden is forever tied to the IKEA’s simple and clean aesthetic, but Generation Zero is taking the whole IKEA catalogue look a bit too far. The audio experience is decent. The sound effects are passable. The gunfire packs a nice enough punch. The different types of robot sound distinct from each other and alien to the game’s lush natural environment. The voice acting is all in Swedish. I really appreciate the choice for immersion purpose, but I also can’t and won’t comment on the acting quality. The music is well done. The soundtrack is full of moody synthesizers that fits the 1980s theme well. I just wish there were more tracks, as the same few songs comes on way too often. I’m not quite sure what to make of Generation Zero. The game feels like it’s either a technical demo needlessly stretched into a full-length game or a title that was suddenly rushed out the door a year too early because funds ran out. Generation Zero is the type of game I’d expect from a Steam Early Access release, not a full retail title. The natural environment is well done, and the premise of a four-player party fighting a robot invasion is great. The execution is where it all falls apart. It feels like all the effort was spent on the open world environment at the cost of the human areas. The gameplay is just a clumsy, repetitive mess. I’m not sure if Generation Zero is salvageable at this point without serious continued development, similar to Hello Games’ work with No Man’s Sky. A great premise that was terribly executed. Generation Zero is painfully boring and repetitive.